A 2018 report from the International Organisation for Migration (IOM) estimates that there are currently 244 million international migrants, or 3.3% of the global population. In 2017, more than one hundred countries began discussions on the Global Compact for Safe, Orderly and Regular Migration and the Global Compact on Refugees. Both seek to arrive at agreed-upon principles and commitments among UN states on issues facing migrants and refugees with the goal of creating a framework for international cooperation. A 2018 report from the International Organization for Migration (IOM) estimates that there are currently 244 million international migrants, or 3.3 percent of the global population. 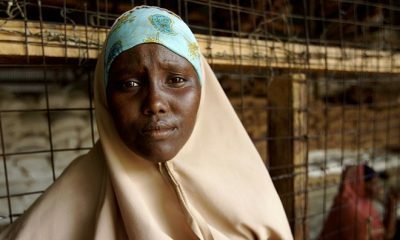 Meanwhile, the twenty-first century has witnessed a dramatic increase in refugees, to 22.5 million globally, and internally displaced people, to 40.3 million—the highest such numbers on record. While the Global Compact for Refugees (GCR) is well developed, has an ideological starting point in the 1951 Refugee Convention, and enjoys support from UN member states, the Global Compact for Migration (GCM) has been mired in controversy. Leaders are good at talking about migration but slow to provide migrants with protected status and economic opportunities similar to those enjoyed by their own citizens. This is partially because domestic political parties do not wish to be seen as favoring migrants over citizens. Migration is a deeply contentious issue that affects political popularity. Therefore, history shows that even while states have verbally committed to protecting the human and socio-economic rights of both migrants and refugees, few make good on these commitments, even in extreme cases such as the ethnic cleansing of Rohingya in Myanmar. Instead, increased populism and right-wing extremism fuel political rhetoric that promotes extreme border controls, increases deterrence measures, and implements legislative measures restricting migrants from entering a country. The rhetoric emphasizes the negative aspects of migration rather than the benefits. Nowhere has this shift been more pronounced than across Europe and in Australia and the United States. As a result of these challenges, it has been more difficult to get the compact for migration off the ground than the compact for refugees. This is not for lack of effort by the United Nations. UN Secretary-General Antonio Guterres appointed Louise Arbour as the special representative for international migration, responsible for advocacy, coordination of UN entities, and implementation of migration-related components of the New York Declaration for Refugees and Migrants, a 2016 UN General Assembly adopted set of commitments to enhance the protection of refugees and migrants. Institutionally, the United Nations and the UN secretary-general have prioritized discussions to find a working solution to the growth of irregular migration globally. Unfortunately, the compact for migration has suffered from an absence of leadership within the UN system. While the compact for refugees has been spearheaded by the UN High Commissioner for Refugees (UNHCR), writing the compact for migration is a state-led process, with negotiations and discussions led by the co-facilitators Switzerland and Mexico. The IOM is responsible only for providing “technical and policy expertise” to UN members during the course of the discussions, which also increases their politicization. The compact for migration discussions began at UN headquarters, in New York, to highlight their political importance, yet the compact process has since moved to Morocco, which will host the 2018 Intergovernmental Conference to Adopt the Global Compact for Safe, Orderly and Regular Migration in December. Removing the gravitas of UN headquarters so soon indicates that the compact might not be as high a priority for UN members as previously envisaged. It also raises questions about the levels of political buy in for the process, and whether the final document will take into account vastly different political and socioeconomic realities among UN member states. These global tensions are also reflected in African Union–European Union relations on migration. 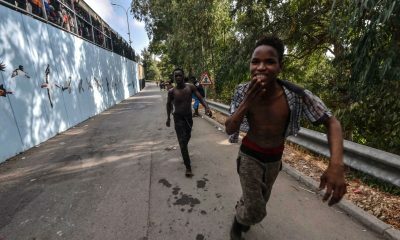 The Libyan political crisis and ensuing influx of irregular migrants (i.e., those arriving outside the international norms for sending, transit, and receiving countries) from West Africa to Europe, coupled with the IOM’s April 2017 revelation of a full-blown migrant slave trade in Libya, cast doubt on multilateral efforts to sustainably manage migration. 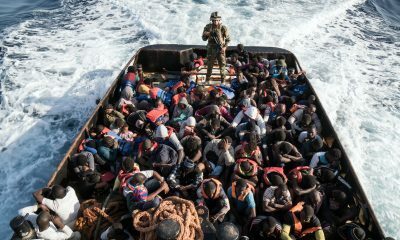 Allegations that some EU member states (notably Italy) have inadvertently fuelled migration crises by providing naval and financial support to Libya to stymie the smuggling of migrants without offering legal pathways to Europe—despite UNHCR reports documenting the widespread torture, enslavement, and abuse of migrants —undermine confidence in UN members’ willingness to set aside their own interests and participate in difficult negotiations. The Libyan example reflects how public scandals have forced countries to take action only after reports of the mistreatment of migrants surfaced in mainstream media, as seen in the creation of the joint AU-EU-UN task force. Migration negotiations between the African Union and European Union have been particularly fraught. 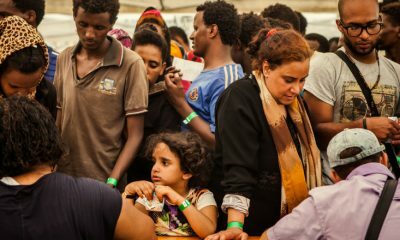 The European Union prioritizes stemming irregular migration, interdicting smugglers, and addressing readmission issues (such as a lack of cooperation from third countries and the home countries of irregular migrants). African countries are more concerned with how migration can be used to address development concerns. The scarcity of discussions on legal pathways to Europe, the European Union’s use of conditional aid to negotiate with African partners, and African countries’ willingness to make bilateral concessions and enter binding agreements that will not favor their citizens in the future demonstrate the unequal nature of migration negotiations. African countries have also expressed a desire that intra-Africa migration should receive more attention in international discourse and the policy agenda on international migration. For this reason, a failure of negotiations could have larger ramifications, further entrenching a securitized, “me first” approach toward migration rather than finding a solution in which all states agree to make valuable concessions for the greater good. Traditional intra-African migration flows reflect power struggles between sending and receiving states. For example, South Africa and Kenya, as economic centers within their respective regions, both support stricter border controls to reduce economic migrations to their countries. 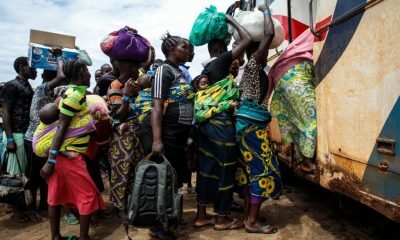 Despite the African Union’s ambitious goals for free movement set forth in its “Common Position on Migration and Development” and the creation of regional legal instruments to manage migration in its “Migration Policy Framework for Africa,” differing levels of economic development, xenophobia, and a growing youth demographic have made it difficult for African countries to come to an agreement. Is the GCM Zero Draft Fit for Purpose? Progress on the compact for migration has finally been made with the zero draft, which was released in February 2018. Current norms and guidelines on managing migration are scattered across a number of conventions, which complicates the United Nations’ ability to lobby states to ratify, adopt, and implement new international conventions. The zero draft attempts to address this by referencing important protocols and international human rights treaties, including more recent agreements such as the New Urban Agenda. The zero draft also takes into account a wide range of situations contributing to migration, including climate change and displacement, and encourages greater information sharing among UN members, while addressing migrants’ readmission to countries of origin in a dignified manner. However, the zero draft falls short in significant ways, and it reads more like a wish list than an implementable framework. The overarching criticism is that the compact for migration remains a consensus-driven, nonbinding instrument, which means that there are no legal instruments or mechanisms to hold states accountable for their failure to deliver on the compact’s goals. Moreover, migration remains firmly in the domain of domestic law and politics. This is recognized in the zero draft, which “upholds the sovereignty of States and fosters international cooperation among all actors on migration, acknowledging that no State can address migration alone.” When coupled with its recognition of migration detention (even if only as a last resort), the tug-of-war between international obligations and domestic laws is likely to continue, despite the zero draft’s attempts to root the compact in international human rights standards. As it currently stands, the zero draft proposes a capacity-building mechanism that will allow UN member states, the private sector, and philanthropic foundations to contribute technical, financial, and human resources to strengthen national and regional authorities. If implemented successfully, this could assist African countries in not only improving their own domestic and regional capacities, but also moving toward a more human rights–based approach to migration that fulfils the African Union’s objectives. Instruments such as IOM’s Intra-Regional Forum on Migration in Africa will allow African countries to identify “fit for purpose” solutions to their particular migration challenges, drive and own the African migration narrative, and address challenges that directly affect their citizens. Ultimately, the compact, once finalized, should enable the movement of people across the African continent. Failure to do so will have repercussions for Africa, a continent where more than half of the world’s population growth between now and 2050 is expected to occur. Successful implementation of the final compact for migration and political buy in from UN members would also reverberate globally. In its absence, increasing polarization and nationalism will only make it more difficult to establish global standards regarding the rights of migrants. It will also demonstrate a failure to find financial mechanisms to assist developing countries that host large migrant communities (by providing support for infrastructure development) and to fund related projects for migration management. Political buy in, support, and a positive disposition among negotiating UN members are essential if the compact is to become a sustainable blueprint for migration. 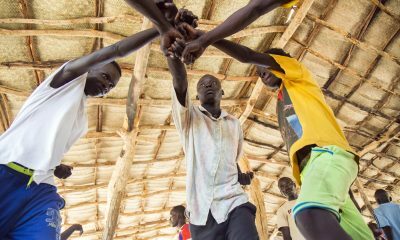 Financial support from multilateral institutions such as the World Bank and African Development Bank can assist with improving infrastructure to enable migrants to better integrate into their host communities. The final document should incorporate regional inputs and a willingness from countries to make difficult concessions. Instead of leaving implementation to national action plans and cooperative frameworks, as suggested by the zero draft, the compact should encompass a practical and implementable action plan that has the support of both developing and developed countries, as well as sending and receiving ones, in which all parties feel ownership over the final document and have a measure of flexibility to tailor the action plan to their needs. A dignified future for migrants rests on the political success of a sustainable framework for international migration management. The UN Global Compacts on Migration and Refugees: new solution or more of the same?